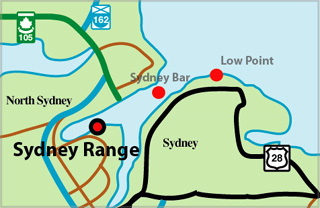 In 2010, the Department of Fisheries and Oceans (DFO) reincarnated the historic Sydney Front Range Light. After replacing the Rear Tower with a metal structure in 2009, officials found the front tower was badly rotten. 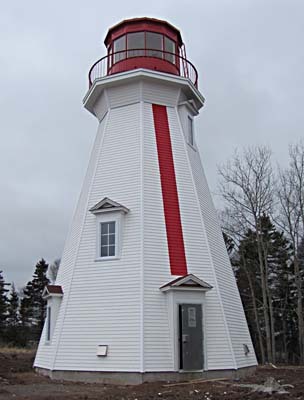 In order to maintain the site’s heritage character, DFO decided to build a replica of the 1905 structure (a twin to the Henry Island Lighthouse in Cape Breton). The tower’s iron lantern has been refurbished and installed on the new tower, which continues as an active aid to navigation. The replica tower was built using modern long-lasting materials. Tower Height: 058ft feet high.